David is finished with work at the conference and is taking Annie out to dinner. Pay attention to how the waiter asks what they want to drink and eat. Listen to David and Annie’s responses. 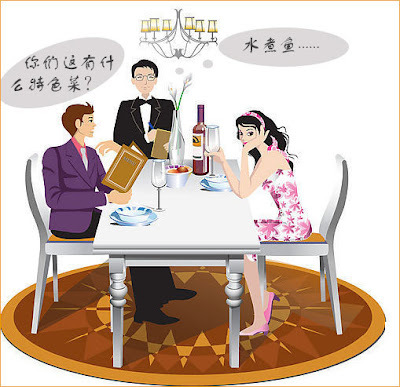 Follow along through the whole dinner process to improve your English. From getting a table, then ordering their food and finally asking for the check. Pau Gasol is a "Laker"